The iPhone is the biggest cash cow for Apple Inc. and it is gaining weight. Last month, the company released two new big-screen models of the iPhone called the iPhone 6 and iPhone 6 Plus and the sales of the devices allowed Apple to enjoy a record-breaking quarter. According to the announcement made by the company, the sales figure was so impressive that it was able to offset the slowing sales of another major product of the tech giant, the iPad. In the quarter that drew to a close on September 27th, a total number of 39 million iPhones had been sold by the company, which was a significant increase from last year when the company only sold about 33.9 million devices. 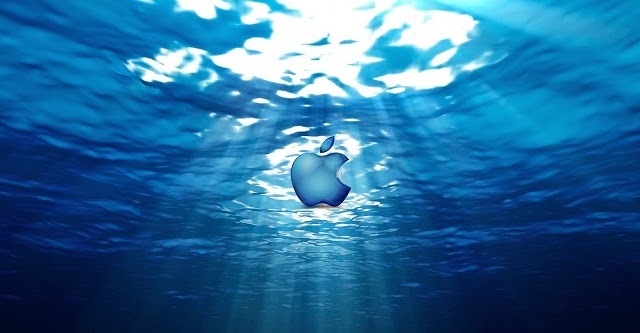 It appears that the iPhone maker is gorging on the consumer demand for its iconic device. In its fourth fiscal quarter, the company was able to earn a net profit of $8.5 billion, which was a 13.3% increased as opposed to last year in the same quarter. Last year in the same period, the revenue had been about $37.5 billion, but it had climbed up this year to reach $42.1 billion. In the financial earnings call with the company’s investors, Apple’s CEO, Tim Cook said that the demand for the phones have been staggering. In the middle of such splendid and exuberant earnings, it may be impolite to highlight that while those numbers are enviable for lots of other tech companies, they do pose some threat to Apple as the company derives 70% of its profits from the iPhone. This means that the company is dependent on one product, which could make it vulnerable in the face of tougher competition from rival companies like Samsung or because of any development issues. Nonetheless, the announcement of the financial results gave the share price of the company a 1.5% boost as it reached $101.25. There has been steady growth in phone sales even though the overall sales of the smartphones have been slowing down in development markets such as most of Europe and the United States. However, this trend has been aggressively battled by Apple. For the first time last year, the company released two iPhones at the same time rather than one. Two new iPhones were introduced by Apple last month, this time with slimmer bodies and bigger screens. There was an early and strong reaction from the public to these two new models. They became available in September and the Cupertino, California based firm was able to sell 10 million of these devices only over the first weekend. Last year, in the opening weekend, the company had sold 9 million devices. Furthermore, the company has also established partnerships with phone carriers in other major markets such as China. According to a survey, the quarterly revenue of the company beat Wall Street expectations as did the profit per share. However, there is some bad news for the company in the form of slowing iPad sales in the current and previous quarter as well.